If you’ve been to any of the Morning Gloryville events in Manchester (#MGVMCR for short), you may recognise me, from hula hooping, doing live social media or generally having a jolly time. My name is Andrea and I am a Glory Agent, responsible for content and communications for #MGVMCR. 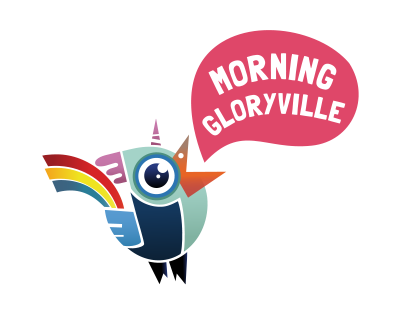 I love it because Morning Gloryville is all about wellness and I get to use storytelling to energise and inspire people to enhance theirs. Happiness is Homemade is the theme for our May event and overall message to share with the community this year. It’s a sentiment that’s close to my heart, as an advocate for taking a proactive approach to creating and maintaining happiness in your own way. I’ve found the Action for Happiness ten keys to happier living a useful tool to feel grounded and focus on the positives. So, in the interests of living mindfully and connecting with people (spoiler for 2 of the keys there, soz! ), I’ve put into words a little bit of what some of the keys to happiness mean to me and how I nurture them. Shout out to the #MGVMCR last ones standing! Mark Twain said ‘The best way to cheer yourself up is to cheer someone else up’, what a great reminder of the value of kindness, and how it comes back to you. Especially when smiles, compliments and heartfelt greetings cost nothing. 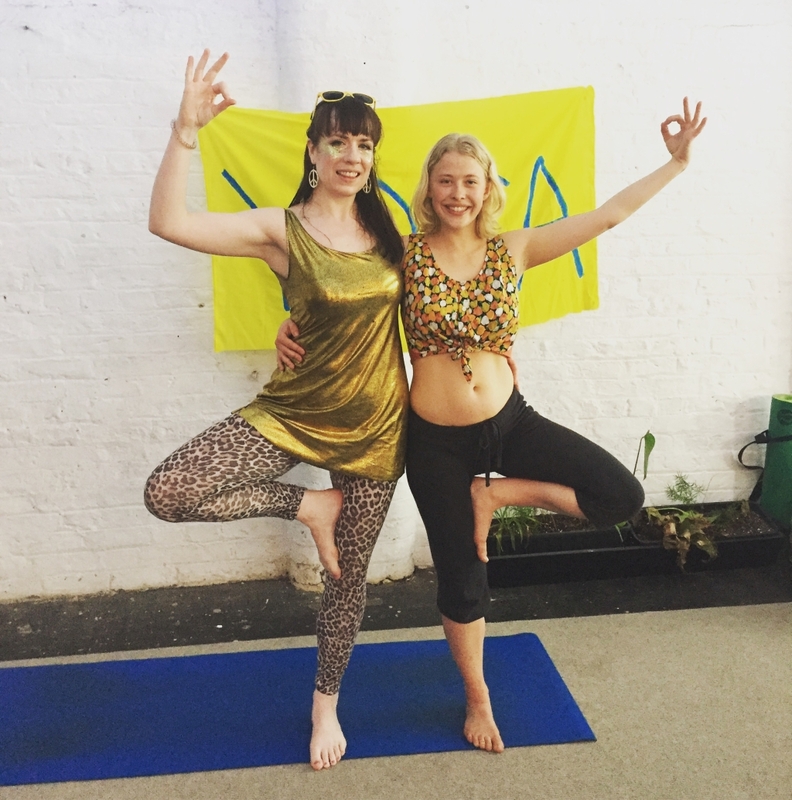 I find it especially fun to dish out positive vibes out to strangers/ friends-you-haven’t-met-yet at Morning Gloryville. It’s an ideal environment as people have made a specific, early morning effort to be there tend to be having lots of fun, the ideal set up for quality chats. I find the spectrum of responses that different personalities have to this kind of thing fascinating; from bashful smiles to a full on peacocking and good for the soul conversation! Each is special and rewarding in its own way. Keeping in touch with friends and family is important for us all, but can easily fall off the radar as it takes a bit of organisation. It’s great to feel part of a community through regular get togethers, catching up with a group of people in the same place to combine power ups! One of the best things about working with #MGVMCR is bringing people together to build a community. Not to forget the hugs, ideally group hugs! Medical News Today explains how hugs can release oxytocin which turbo boosts feelings of relaxation, trust and psychological stability – yes please. 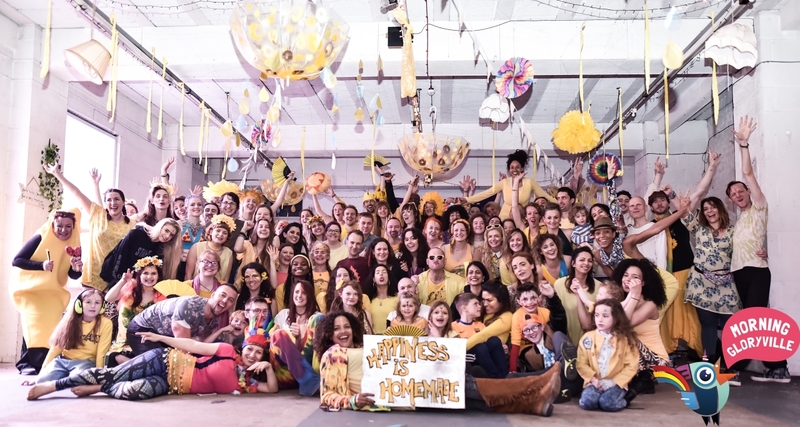 Oxytocin and hugs are the good stuff, you can see this magic in action in the Morning Gloryville Guide to Hugs, a creative collaboration I worked on with Ric Jones – shout out to Ric! Moving your body feels good! First thing in the morning it can have an amazing impact on your wellness, for energised and happy feelings for the rest of the day. Even as a bona fide, non-sporty, exact-opposite-of-a-morning-person, I get such a powerful energy when I rave my way into the day, especially if there’s room to get the hula hoop spinning. Of course there are alternative ways to look after your body that don’t involve jumping about. Yoga is a fave, for those whole body stretching benefits and a different pace as energy levels ebb and flow. So here’s another wellness step, warning: my experience is a bit of a full on one! At the end of last year I became increasingly aware of a feeling that I wasn’t pursuing my passions in my job. I think this is a feeling many people can relate to and one that’s easy to ignore. I’d been in the job for a while, and on reflection realised that I wasn’t being mindful about my work – I didn’t feel like my everyday tasks were working towards a bigger purpose. It was more like I was going through the motions and, unsurprisingly, I didn’t feel I was getting as much fulfilment as I could. I took the bold/ scary move to quit my job with no job to go to with the aim of taking some time to change my career focus. It was the best way for me to find the space I needed to clarify my strengths, values and aims and create a purposeful path to pursue them. It’s all still a work in progress, such is life, but making this change enabled me to find projects that utilise my skills in strategy and writing, as well as my passion for wellness. This has meant redesigning a more mindful career path for myself, and feeling great about it because happiness is homemade! During my career off-road adventure I’ve worked on projects as a copy writer and consultant with business owners, as well as with #MGVMCR; this new approach has lead me to discover a passion for content strategy, a concept I’d not focussed on previously. Being able to develop my skills in this area of interest makes me super happy, even when the going gets tough it’s great to have direction.